But why is one of the world’s most powerful nations putting on the brakes when it comes to adopting this technology? One of the main causes is the perception of the electronic invoice. It doesn’t have the same perception in the United States like it does in Latin American countries. In Latin America, the e-invoice is identified as a data laden document with a specific legal and fiscal structure that requires certain safety mechanisms such as an electronic signature. Billentis’ study says that two-thirds of companies in the United States send pdf invoices through email, and that less than 20% of them employ technology for the use of EDI data or apply processes for encrypting data such as the electronic signature. In addition, digitalization in terms of business management processes is not widespread among companies, which would slow down the ability to adopt other systems such as the electronic invoice. As stated by Billentis, this occurs partly because budgets allocated toward technology are being limited because the money can be utilized in other areas. Another difference is that in other regions the government is passing laws that require the mandatory adoption of electronic billing models. Despite this data, recent surveys and studies pertaining to the U.S. market confirm that interest in adopting the electronic invoice is growing. In fact, in the next two years, the number of companies using this system will grow from 19% to 41%. This expansion will be marked by an announcement by the Office of Management and Budget that suppliers in the public sector will issue electronic invoices starting in 2018, a measure expected to increase savings and efficiency in the government like in businesses. 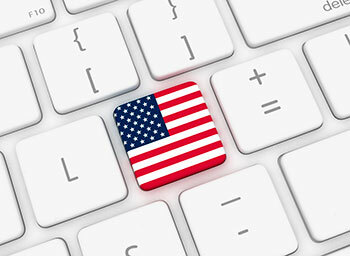 Nevertheless, global use of the electronic invoice will be an incentive to increase its use in the United States. Multinational companies are increasingly adopting electronic invoicing in the markets they operate in. This leads to an interesting paradox because large multinational companies in the United States implement advanced systems for B2B2G e-invoicing systems in different countries around the world but doesn’t utilize one in the most important markets, which is the national market. In Mexico, Chile and Brazil, the use of the electronic invoice is 100% mandatory. Today, virtually all other countries in Latin America are gradually demanding its use. Furthermore, in Europe, countries like Spain, Portugal, Italy and France have made the e-invoice mandatory in the B2G sector. In 2018, the entire European Union will utilize this system. The entire world is moving towards a paperless horizon. Now that the e-invoice is extending to all continents, the main obstacle is for multinational companies to adapt to it. Each company has its own requirements and systems. This is why EDICOM has developed an international electronic invoice platform that adapts to different e-invoice models that exist in the world and has focused especially on Latin America and Europe. This way companies need only one platform to operate in any market.